This entry was posted in Authorship Question, Christopher Marlowe, Earl of Oxford, English history, the London Stage, Who wrote Shakespeare and tagged Christopher Marlowe, Earl of Oxford, Nashe, Robert Greene, Tamburlaine, Tamerlan. Bookmark the permalink. Wonder if some of the incredible vitriol toward Burghley as Polonius in Hamlet came partly from this? Hamlet was written in the 1580s. The death of Polonius, I believe, was Oxford’s comment on the death of the undercook when he was 17. I believe he was saying that he stabbed him because he knew the cook was spying on him for Cecil. He lost his temper, but didn’t mean to kill him. Cecil covered it up, not only because he had to, but also because he must have known the real reason why Oxford stabbed the undercook. I don’t think he changed the image of Burghley much with the rewrite in the 90s. What he changed then was the addition of the scenes with Ophelia, since Anne was dead by then, he was commenting on her death and their long relationship. I believe Laertes is rather a flattering portrait of Robert Cecil. I believe that when Hamlet complains about the way Laertes is treating him, he’s telling the truth: “What is the reason that you use me thus? I loved you ever.” And it is Laertes who kills Hamlet. Very thorough reply. I wasn’t just thinking about the death scene of Polonius but the rather malicious way Hamlet treats him throughout the play. After Polonius’ death, Hamlet treats it in conversation with Claudius in the most derisive, sarcastic manner. Pretty scathing. Interesting that “Diet of Worms” is most probably referenced here. Also, my understanding is Laertes is closer to Thomas rather than Robert Cecil. It was Thomas who went to Paris. Perhaps there is a melding here. Oxford had good reason to hate Burghley. But it’s most likely that the play was written for the West End community, the gentlemen of the Inns of Court, and that it was not performed for the public until after both Anne and Burghley were dead, that is, after 1598. And probably was never performed for the Court while either Elizabeth or Robert Cecil were alive. By 1598 Oxford was not concerned with Thomas Cecil, who was a friend to him, the first to vote for him for the Garter since he fell into disfavor in the 1580s, and probably his friend all along; after all, they both were badly used by the Cecils, who saw to it that both of their names went down in history in a bad light. 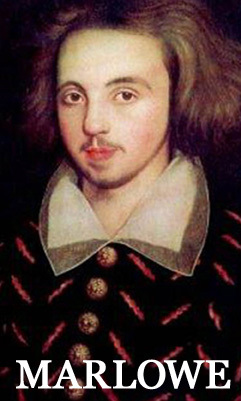 By 1598 the fight was with Robert Cecil, whose hatred for Oxford is evident in the fight over the Blackfriars Theater, and whose major reason for hating him was the way he treated his wife, Cecil’s sister, all of which is dramatized in the play. I kind of agree that Hamlet in the form we know it did not seem suitable for the public stage. Its too long and Harvey alluded to it “(wiser sort.”) Even Shapiro admits as such. I know of the Marlowe comment in AYLI but again I wonder if in final form, the malice toward Polonius Burghley might have had partial motivation over Marlowe’s death. Oxford’s letters don’t seem to reveal this depth of antipathy but the play drips with vitriol toward the character and in the scene we reference, its beyond cutting in its savagery about the man’s death. Yes. Hamlet’s responses very inappropriately suggest food, the fact that we eat dead things. He was being just as bad as he could be. Have you read the pages here on Robert Cecil? Oxford’s anger was more toward Robert Cecil. Burghley had, after all, been pretty decent to him in some ways. But Robert was out to destroy, not only him, but the thing he’d committed his life to, the London Stage. One thing I really appreciate about you is your deep perspective on the politics (politic worm) of the era. My question would be if the issue is with Robert, why portray the father in such a bad light? Richard III makes sense both politically (to serve the Tudors) and personally, but here? Burghley? Why?